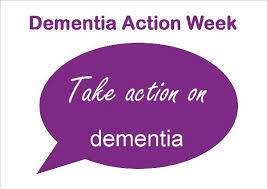 Dementia Action Week doesn’t sound like it should have much to do with physiotherapy, does it? And yet Fairhand Visiting Physiotherapists are definitely participating in this important event, taking place from Monday 21st to Sunday 27th May inclusive. Here’s a few reasons why – and what we’re planning to demonstrate by participating. First of all, what is dementia? Let’s digress from the physiology of the human body for a second to focus on the brain. Within our brain are nerve cells, or neurones, that fire messages to each other, coordinating the body to execute various functions. Dementia is a broad term, covering a range of conditions that affect this communication and, therefore, the operation of the body. One of the most common forms is Alzheimer’s disease but in reality, there are some 200 sub-types – the others we see most regularly are vascular dementia, frontotemporal dementia and mixed dementia. At present, dementia can’t be cured. But much can be done to avoid it. Risk factors for dementia, according to the NHS, include obesity, smoking and raised blood pressure. It’s worth checking out this page on cure and prevention if you’d like to cut your risk by 30%. How are dementia and physiotherapy connected? The WHO calls dementia a ‘public health priority’ and it’s not hard to understand why we agree. Falls are the number one cause of injury-related deaths in British people aged 75 and over, and one in three adults older than 65 will fall once every year. Aches, sprains and even broken bones are amongst the potential consequences – so we at Fairhand do find ourselves dealing with the fall-out more than you might expect. On our falls prevention page, we discuss some of the ways you can limit your risk of falling, whether you have mobility issues or are simply worried about moving independently. We’re available to come and discuss those in situ at your home if you’d prefer, too. But it’s that latter point that we bet will stick with you as Dementia Action Week arrives: physical independence, and how to maintain it if you, or your loved one, become impacted by this complex illness. That’s why we’ve teamed up with other Croydon businesses to be a part of Dementia Awareness Day Croydon 2018 on Friday 18th May at Braithwaite Hall on Catherine Street, Croydon, CR9 1ET. Prevention is the best cure when it comes to falls and that’s the very topic our lead practitioner, Frances Lamberth MCSP, will be talking about on the day. At 3pm, Frances will give an informative, digestible half-hour presentation titled “Keeping Safe and Steady on Your Feet – Prevention of Falls”, drawing on her extensive experience as a physiotherapist working with patients who have a variety of needs. “Our homes are the cornerstone of our lives and, when we’re healthy, we sometimes don’t think of a dim room or a stray cable as a hazard,” Frances says. “The truth is that dementia makes it harder to tell whether a loose tile may make us trip over, or recognise the top or bottom of a flight of stairs. Frances’s talk will provide practical physiological advice along with tips and tricks – and some common sense points that are easy to forget when you’re solid on your feet. “Fairhand Visiting Physiotherapists aren’t only here to treat our patients after the fact,” Frances continues. “There’s so much that can be achieved through prevention. From reminders placed at strategic points to clearing walking paths and installing hand-rails, we advise people of all ages how they can make their home a safe space for the foreseeable future. We’ll be on hand at Dementia Awareness Day Croydon 2018 from 10am until 4pm. We’ll have our own stand, too, so you can come and ask questions in your own time at any point and we’ll be happy to answer them – without any need to commit to an assessment session. The event is completely free to attend – all you need to do is visit https://www.eventbrite.co.uk/e/dementia-awareness-day-croydon-2018-tickets-45231374258 to sign up. Free tea and coffee is available for all guests. If you’d like to fix a specific time to visit us on the day, give us a call on 020 8651 2110. That applies if you aren’t able to make it on Friday 25th – but we really hope to see you there. ← When physiotherapy became fizzy, oh!